Spring is the season of colours and joy. After experiencing the frosty season, spring is welcomed with warmth and excitement. You must be very excited as the March is here and spring is just a few days ahead. This is the time when people plan different activities including home designing and stuff related to it. People usually wait for this season to repaint and renovate their home. Spring is an ideal season to get up for designing or adorning your home in a different style. If you want to change the colour scheme of your home, here are some creative home decor colour themes for spring 2014. The combination of light green and lime yellow is very much in this year for bedroom decor. Green adds very soothing and relaxing feel in the room. As yellow is known for hope and optimism, it creates an amazing ambiance in your room together with the splash of green. This colour scheme is perfectly appropriate for the season of spring. The blend of both the colour should be applied sensibly so it doesn’t spoil the colour balance. You can also spread floral patterned bed sheet on your betel metal bed to bring more pleasure and joy in the room. Red and Grey are in the top 10 home decor colour themes for spring 2014. Red and grey together create very magical affect in the living room. Make sure to use darker shade of grey as light shades are no more in this year. Dark grey adds depth in the room giving it a dramatic touch. This is the shade that harmonizes with every colour giving a sober touch. Grey colour balances the bright colours very smartly and this is the reason it goes very well with any shade of red. If you room is not exposed to natural light, then it would be wise to avoid pale grey as it makes the room look dull. 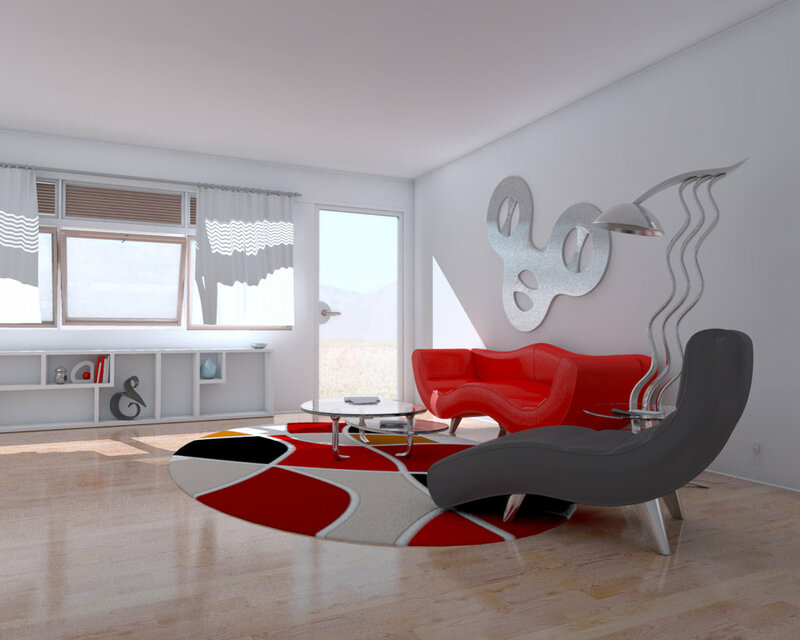 While combining red and grey in your living room, make sure the amount of red should be lesser than that of the grey. If the room is of rectangular shape, paint the small wall in red and others in grey colour. As red colour has ability to dominate the entire ambiance of room, keeping it to limited places will maintain the balance creating energising feel in the room. The smart blend of warm and cool colours is one of the best home colour schemes to apply in spring season. This combination is appropriate for all moods making you feel relaxed whatever your mood is. Let me give you some creative ideas in this regard. What about reddish orange with lime green? Well this colour combo is great for living room and TV lounge leaving appreciable impression on your guests. Any shade of Ice blue or sea green with any bright colour makes the nice combo for contemporary decors. The dark and light shades of green create cool ambiance in the room and also make your room look trendier. If you don’t want to experiment with different colour combinations, then this is the safest idea for you. Paint the walls in lighter shade of green and add the curtains of darker shade. Make sure to add flooring or carpet in a neutral colour like beige, white or light brown and do not add too much of green in decorative items. Keep the shades of green to walls, curtains, and cushions only. So this is all about home decor colour themes for spring 2014 that will surely going to help you this season while adorning your place. Decide the colours for your home keeping in view the size and orientation of rooms. The small sized rooms should not be painted with dark shades as they will make the room like congested. Use your brain and imaginations both and make your home look smarter and trendier.